Fibreglass/GRP Hull repainted Sep 2015. 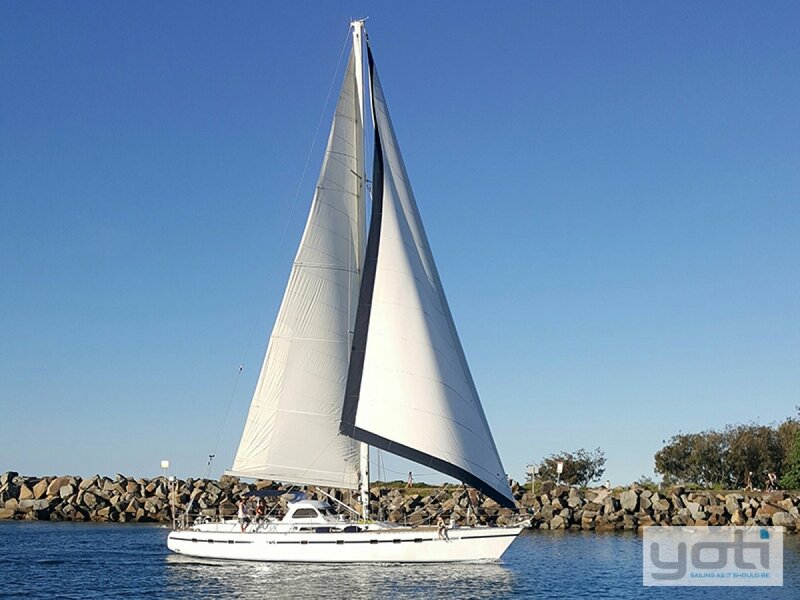 Launched in 1991, the Tayana 55 'Porcus Palpor' is now exclusively for sale with YOTI South East Queensland. The Tayana 55 is designed by the Dutch Naval Architect and designer Pieter Beeldsnijder, who is recognized throughout the world as a premier designer. 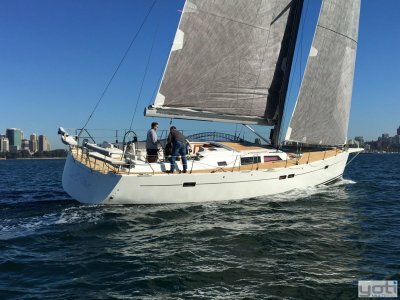 The Tayana 55 is designed and built for serious cruising and are often considered the equivalent of Passport, Oyster or Hylas yachts. The hull is one of the most durable, versatile, safest and best performing hulls in its class. The wide 4.9 metre beam of T55 easily accommodates a three cabin layout; and few if any yachts of its size can carry its standard three cabin layout with a full stand up engine room and workbench so effortlessly. Tayana yachts philosophy is, sailing should be a pleasure. This yacht can be easily handled by a cruising couple. The custom interior joinery work of Ta Yang yard is legendary. Porcus Palpor is beautifully maintained and fully equipped to take on the oceans of the world. It features new rigging 2012, well maintained 130HP Perkins engine, four blade feathering prop, 5KVA genset, last slipped and anti-fouled September 2015. This yacht is now priced to sell and the owner will consider all resonable offers. 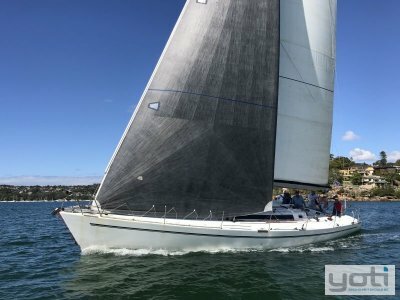 For more information on this classic cruising yacht contact Robert Vrind today. Inspection by appointment only. 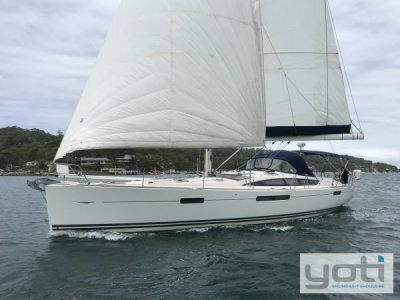 Ta Yang Yacht Building Co.
Diesel; 6L/hr@1750rpm 6-3544. Cable steering. Tristream Propeller Co. 4 Blade Folding Propeller. Bimini; New Clearview Cover (Sep2015); New Hatch Covers (Sep2015); Full Vessel Covers. Third Shower/Toilet Converted to Bosuns Locker Suitable for Washing Machine (Supplied). TV, CD, DVD. Saloon, Cockpit, Foredeck, Stern Speakers. AC Installed (Compressors need replacing). Large stainless steel bwl sink. 4 Burner Gas with Oven and Grill. 30Kg Bruce; Danforth H3100; Maxwell 3500.60m 10mm chain. Life Vests; Flares; EPIRB; Liferaft(out of date). Batteries: Trojan Deep Cycle 2 x 250AH House and Exide Sealed Calcium Starter. 3 Bank Cruz Pro Batt Monitor; Auto Starter Batt Disconnect. LED interior lighting. LED Nav lights. Garmin Chartplotter. Authelm Sounder/Log, Wind and AutoPilot. JRC1000 MkII Radar. Compass. Thrane & Thrane Satcom C Terminal. Icom VHF. Hood main. Yankee Cut 130% genoa. 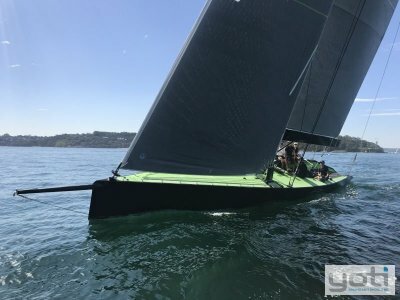 North Sails jib. Asymmetrical spinnaker. Harken furler. Twin Spreader. Kenyon mast. Furlboom boom. Stainless Steel 1 x 19 rigging. Stainless Steel Chain Plates. Lewmar 3 x 40ST; 2 x 43ST; 1 x 46ST; 2 x 52ST; 2 x 66ST. Bronze Seacocks. Full Cockpit Cushions and Sunbathing Deck Cushions. Atifoul September 2015 (40L International Interspeed 642).